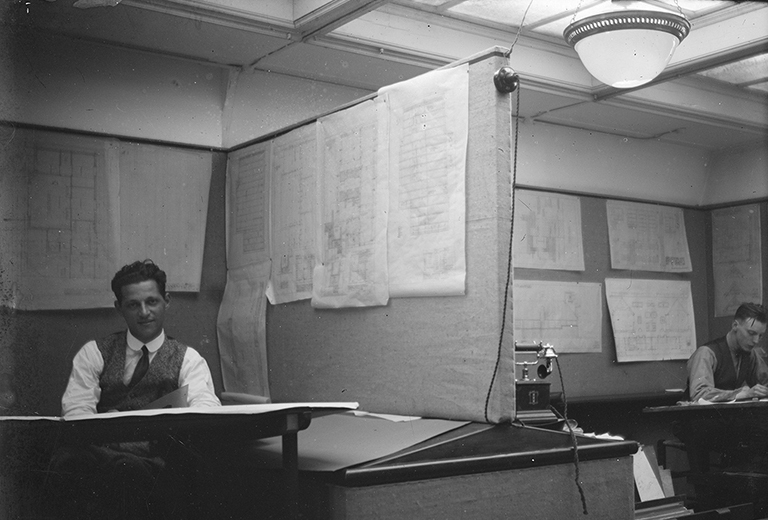 Online community based architecture platform ArchiNed publishes a series of articles on the position of the architect built on the series of Studio Visits to Rotterdam architecture offices. The lean years seem to be a thing of the past. Design and construction activity are in full swing again. But is it business as usual or has the field of force in architecture fundamentally changed? What is the playing field occupied by architects? What roles do they assume, intuitively or strategically? And what opportunities does this open up for the future? "Architecture is more than just making beautiful things". An interview on business operations with Nanne de Ru, major shareholder of Powerhouse Company. "We make informed irrational choices." An interview witt LOLA's Eric-Jan Pleijster and Cees van der Veeken. The art of the conversation. An interview with Helena Casanova of Casanova + Hernandez Architects. "The most important thing is to go your own way unperturbedly." A conversation with Lilith van Assem, Elsbeth Ronner and Madeleine Mans of Lilith Ronner van Hooijdonk. “Design is so essential to us that we want to control this aspect of all projects in Rotterdam at all times, no matter where the projects are located in the world.” A conversation with Jan Knikker, partner and head of Public Relations and Business Development at MVRDV.